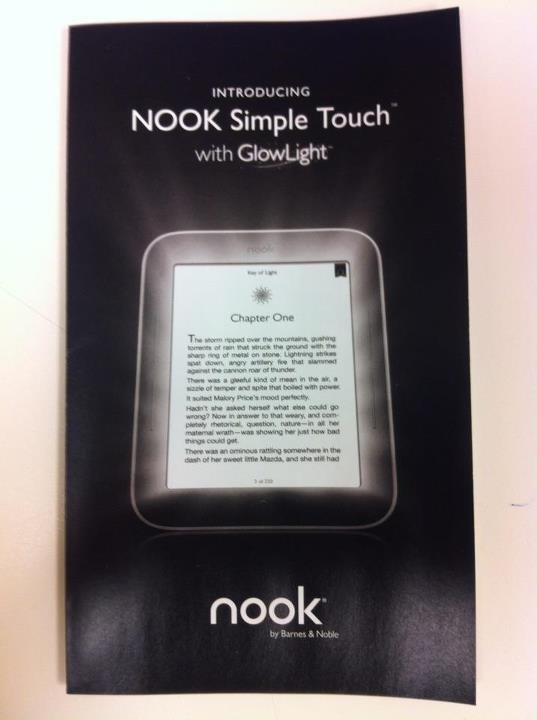 Barnes and Noble will apparently be calling the technology GlowLight, and if you don't like the name, tough. The retailer is going to be pushing it as a major feature of its Android-based e-reader. This technology is different from backlighting on a traditional LCD, though the effect is much the same. Front-lit panels have one or more LEDs embedded in the device casing bordering the screen. Because e-ink screens are reflective panels, backlighting wouldn't work like it does for transmissive LCDs. A real benefit of front-lit e-ink is that the crispness and high contrast ratio are preserved, which can be a problem with some backlit LCDs. A single LED system should also be cheap and have very low power draw. Those are both very important points when you need a device to run for weeks and cost almost nothing. A launch as soon as tomorrow, April 12, is a possibility. 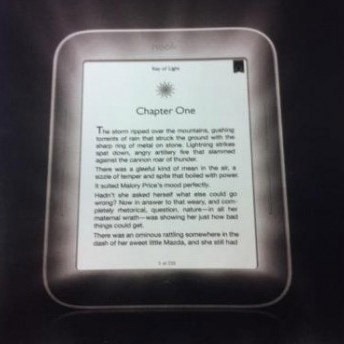 Although, I have to wonder how long until Amazon steals the Nook's thunder with an updated front-lit Kindle.